Young Writers’ Anthology 2015 is a collection of short stories and extracts from emerging writers aged 25 and under. Dotty Grimm and the Red-Hooded Herring is the first chapter in a novel which follows Dorry Grimm, a fairy tale detective tasked with the job of finding a missing girl named Harmony Hood. 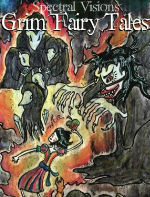 Spectral Visions: Grim Fairy Tales is a collection of Gothic fairy tales and poetry, showcasing traditional, contemporary and international pieces. Wolfbann is a poem about a lonely girl who summons a wolf. A 2,500 word sample of my work-in-progress novel was published in this anthology of contemporary writing. 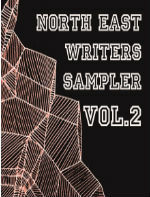 The anthology is meant to provide a sample of up-and-coming talent in the North East of England. Dr Corbeau Cox, forensic pathologist, examines the scene of a crime where a young woman has been flayed, drained and left on a bed of flowers, her eyes gouged out. 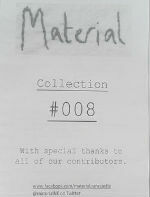 Material is a writing magazine in the North East of England. The Swan Princess appeared in their February edition. An old man reflects on his time with his now-deceased wife.